With the power and responsiveness of Intel Turbo Boost Technology 2.0 you can spend more time doing and less time waiting. Create, edit, and share 4K content with ease, and enjoy immersive, full-screen 4K and 360 experiences. See also Pentium GOLD, Core i3, Core i7 and Core i9 CPUs. This new generation of processors extends all the capabilities users have come to love in Intel's desktop platforms with advanced innovations that deliver exciting new features to immerse you in incredible experiences on a variety of form factors. The Intel Core processors redefine mainstream desktop PC performance with up to six cores for more processing power, that's two more cores than the 7th generation Intel Core processor family. Intel Turbo Boost Technology 2.0 increases the maximum turbo frequency up to 4.6 GHz, and up to 9MB of cache memory. For the enthusiast, the unlocked Intel Core i5 8600K and 9600K processor provides you the opportunity to tweak the platform performance to its fullest potential and enjoy great gaming and VR experiences. An impressive portfolio of standard and unlocked systems for a broad range of usages and performance levels. New system acceleration when paired with Intel Optane memory to deliver amazing system responsiveness. Intel Turbo Boost Technology 2.0 to give you that extra burst of performance when you need it. The ability to set an overclocked ratio per core with unlocked processors (K-suffix only), when paired with select chipset SKUs, to provide you more control and more granularity for overclocking your platform. The Intel Core processor-based desktop platforms are loaded with new and enhanced features to deliver amazing experiences that five-year-old systems can't handle. Great VR experiences involve the entire platform, not just any one component. The ideal combination of processor, graphics, I/O connectivity, display, and audio are required. A high-performance processor is key to achieving a balanced platform to make your VR experiences great. Attach your premium head-mounted display (HMD) to an Intel Core i7 or i5 processor-based PC, and prepare to be amazed. Outstanding gaming experiences extend beyond your personal smooth gameplay to your entire gaming community. The Intel Core i5 processor family makes it easy to share those experiences by live-streaming or recording, editing, and posting your epic highlights. To perform at your best, get a great gaming PC powered by an Intel Core i5 processor that lets you live—and share—the ultimate gaming experience. HEVC 10-bit encode/decode, VP9 10-bit decode. Enabling incredible 4K video creation and sharing with ease. Intel Quick Sync Video technology to accelerate most video capabilities, allowing users to create and share in real-time and multitask without interruption. Intel BIOS Guard and Intel® Boot Guard to help protect your system during startup. The Intel Core processor family is a great investment in your desktop experiences—whether for gaming, entertainment, or general-purpose computing wherever your life takes you. 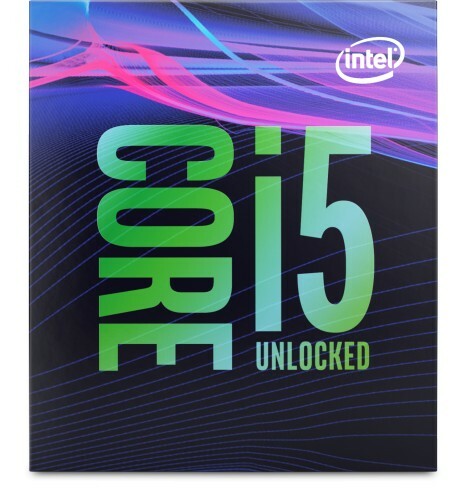 From the jaw-dropping performance of the Intel Core i5-9600K processor with six cores to the practical capabilities of the Intel Core i3 processor, Intel's generation of desktop processors fits a wide range of budgets and needs. Whether you're a performance-hungry professional, an exceptional enthusiast, or a first-time buyer, there is an Intel Core processor that will enable the experiences you seek. If form factor is your priority, the Intel Core processor family offers a range of processors designed for desktop PCs from high- performance gaming towers, to slick, and stylish all-in-ones, to compact living room minis. The Intel Core processors are raising the bar of desktop computing with innovations to drive exciting experiences, capabilities, and form factors. Experience all the amazing things you and a new Intel Core processor powered PC can do. very satisfied with the CPU i bought. i5 8600t is quite rare to find anywhere at all. recommend the seller.